Let’s face it: there are certain passages in scripture that in all honesty we are tempted to just sort of skim or skip over. Why can’t we have the “spark notes” version of all those Leviticus rules and regulations, for example? What is the relevance? Or why does it seem we have so many story “repeats” and other details that are not elaborated on? Well, we do know that all scripture is God-breathed (2 Timothy 3:16) and that He is ultimately the One who designed the important elements included in the Bible. One of these elements has to do with the apparently prolific amount of lists. 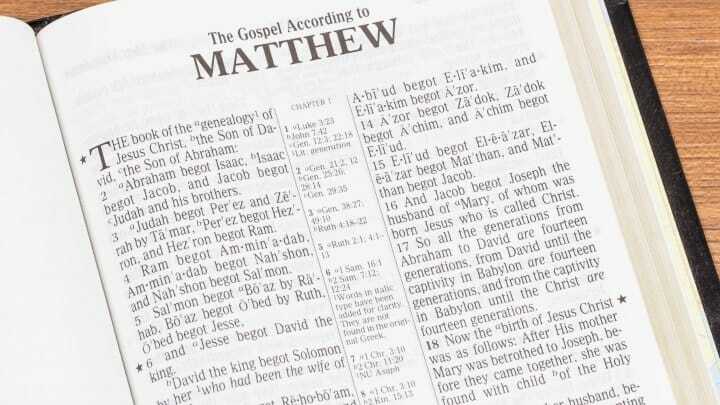 There are many passages of scripture that involve long genealogies. Most of these seem like lines of name after name after name, many of which are near-impossible to pronounce or recognize. It can be challenging to work our way through these roll sheets, and it’s easy to question why they are even there. Yet it is important, for our own sake as well as that of the students, to understand the significance of genealogies and what they mean for us. Family heritage is a point of pride for most people. It is exciting to examine family tree origins, view old pictures, and learn about our ancestors. As we read through history, though, we tend to have less excitement over lineage and greater eagerness to get to the meat of actions and events. This attitude can be the same when we look at the Bible, and it is no different for kids. Students often whine and gripe through Biblical lists and family lines, wondering why they are included. For our attentions, it is important to note that God loves and values history. He emphasizes stories and re-tells events to capitalize on the broad story of His people Israel. Even in Psalms we see echoes of the glorious things He has done. We also see, in genealogies and family lists, how God’s plans and prophecies are fulfilled (Matthew 1; Luke 3; Isaiah 11). Nothing is a mistake. God also reveals through genealogies how much He cares about and uses individual people to fulfill His promises. To benefit younger students, who might have a harder time squirming through Genesis 36 or 1 Chronicles 1-3, it can be more helpful to focus on the “founding fathers of the faith” and how they demonstrate God’s fulfilled promises. The old “Father Abraham” song becomes real when we look at how all nations truly did descend through Him, in spite of his original childlessness. We see that Abraham’s son Isaac trusted God, as did his son Jacob, and the continuation of progeny after that. We see that Israel came from that line of Jacob, and that the spread of those tribes etched into being the story of the Old Testament, which eventually set up the need for a Messiah and New Testament. When described in such short order it sounds a bit over-simplified, but the essence of the message is there. By sharing with students the story of Biblical ancestry, we see that God does what He says He’ll do. There are no accidents. Every life has a purpose. So perhaps we are not so proud of personal family history. Maybe our students are adopted or do not know original genetic line. But in God’s family, we are all adopted. Our blood line comes from being covered by Christ’s blood, and loved by Him enough to be rescued into the Kingdom with our Heavenly Father. What a glorious comfort! Tony Kummer (Editor) reviewed & updated this page on : June 1, 2016 at 11:21 pm. All our content is peer reviewed by our readers, simply leave a comment on any post suggest an update.